Our Light range is now enhanced with a blend of kind to skin ingredients including Aloe Vera. Perfect for independent people with light temporary urinary loss. 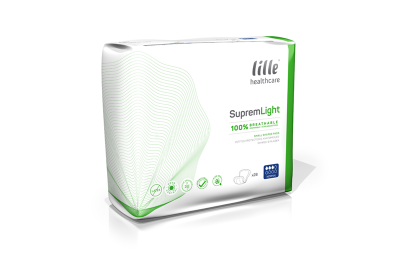 Slim and equipped with an odor control system, the Suprem Light pads are discrete and provide anti-leakage security.